Thomas Ehretsmann illustrated the poster for the political drama, "The Originalist" written by John Strand. The play could've been seen from March 6th to April 26th. 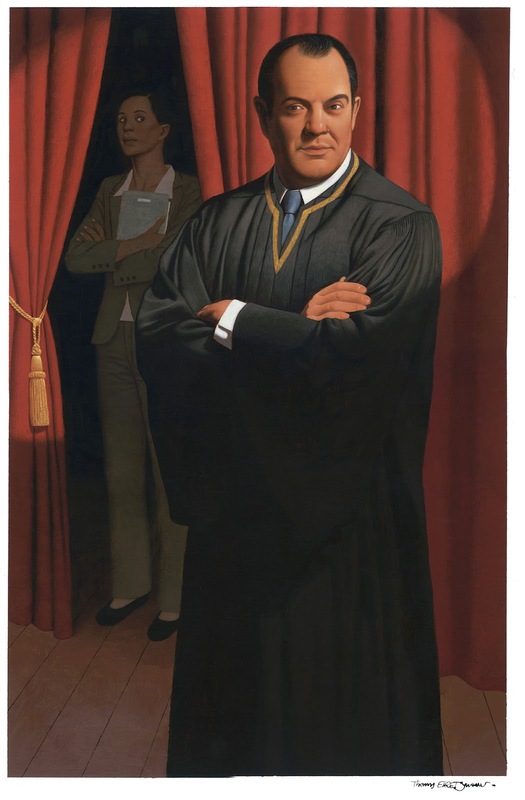 Edward Gero starred as Supreme Court Justice Antonin Scalia in a dramatic world premiere about the brilliant, but polarizing justice, his young liberal clerk, and their differences that arise over one of the most blazing cases ever to reach the nation's highest court.